Penn State is happy to host Dr. Debra Fischer as the 2014 keynote speaker. Dr. Fischer’s speech will be broadcast Saturday from Penn State to all seven other conference sites. Keynote Address: New Worlds, Baby! 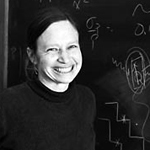 Debra Fischer is a Professor of Astronomy at Yale University who obtained her bachelor’s degree from the University of Iowa (1975), her master’s degree in Physics from the San Francisco State University (1992) and her Ph. D. in Astrophysics from the University of California, Santa Cruz (1998). Her research is focused on exoplanets. She began her hunt for exoplanets in 1997 by measuring tiny periodic shifts in the radial velocities of other stars. She was the first to discover a multiple planet system in 1999 and contributed to the understanding of planet formation with her analysis that quantified the impact of chemical composition on the formation of planets. In her lab at Yale, Fischer’s team is developing next generation instrument designs that aim to break current records for the detection of Earth analogues. These newly discovered planets will be targets of the search for extraterrestrial life. Peggy Cebe is an internationally recognized expert in polymer physics, a Fellow of the American Physical Society and an educator. She obtained her Ph.D. in Physics from Cornell University in 1984. 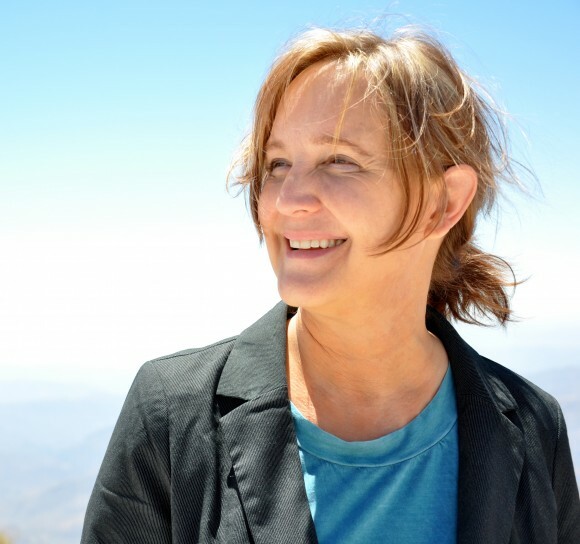 After holding various research positions at Caltech, NASA-Jet Propulsion Laboratory and MIT, she is now a Professor in condensed matter physics at Tufts University. Her research involves topics in semicrystalline polymers, biophysics and polymer-based nanocomposites. In particular, she studies the thermal and electrical properties of macromolecules in relation to their structure. Macromolecules are very large molecules that are typically created by the polymerization of smaller subunits. They often have unusual physical properties and exhibit a wide variety of organizational structures. President Obama awarded her the Presidential Award for Excellence in Science, Mathematics, and Engineering Mentoring in 2011. Janet Conrad received her B.A. from Swarthmore College in 1985, M.Sc. from Oxford University in 1987, and Ph.D. from Harvard in 1993. She is now a Professor at MIT. Her research focuses on the lightest known matter particles, the neutrino. The number of neutrinos far exceeds the atoms in the universe. Yet, surprisingly little is known about these particles. It is only within the last decade, for example, that we came to realize these particles have mass, albeit very tiny. This became clear when neutrinos were shown to live a double life, transforming from one type into another through the quantum mechanical effect of neutrino oscillations. This effect requires neutrino mass. Neutrino mass is the first “chink” in The Standard Model of particle physics. With her involvement with the MicroBooNE experiment at Fermi National Accelerator Laboratory and the Double Chooz experiment, she hopes to develop our newly-forming model of particle physics. Dr. Kathryn Jackson is the Chief Technology Officer at Westinghouse Electric Company responsible for leading the company’s global research and development activities. She is the Chair of the Board of Directors of ISO New England, responsible for the electricity market and system reliability in the six New England States. She was previously Executive VP at the Tennessee Valley Authority responsible for the management of a 6,000 megawatt hydropower system, flood control, navigation and dam safety, public land management, recreation, and corporate research. She was a Technology Forecaster at Alcoa and postdoctoral fellow at the National Academy of Engineering in Washington, D.C. She serves as an advisor for several universities and is on numerous non-profit boards. Kate earned her Master’s and Doctorate degrees in Engineering and Public Policy from Carnegie Mellon University (1987, 1990), a Master’s in Industrial Engineering Management from the University of Pittsburgh (1983), and her bachelor’s degree in Physics from Grove City College (1979). 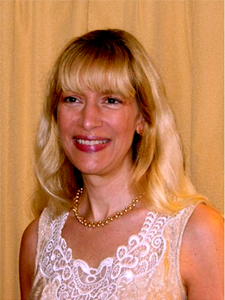 Joan Schmelz is a solar physicist who received her Ph.D. in Astronomy and Astrophysics from Penn State University in 1987. She then joined the operations team for the Solar Maximum Mission Satellite at NASA’s Goddard Space Flight Center. She is now a professor at University of Memphis and carries out research to investigate of coronal heating as well as the properties and dynamics of the solar atmosphere. She currently serves as a program director in the National Science Foundation’s Division of Astronomical Sciences. Schmelz also is the current chair of the American Astronomical Society’s Committee on the Status of Women in Astronomy. Dr. Lynn K. Aldrich is an Associate Professor of Physics at Misericordia University and has been teaching physics there since 1988. She received her Ed.D. in Science Education from Temple University and her M.S. in Physics from the University of Alabama in Birmingham. Her research interests include topics in Physics Education such as self-efficacy in pre-service elementary teachers of science and service learning in introductory physics classes. The most interesting place she has taught was Asmara University in Asmara, Eritrea (part of Ethiopia at the time). She has taught at the junior high, high school and college/university levels. Her service has included being an officer in the local section and the national organization of AAPT (American Association of Physics Teachers), being a board member for the local land trust and local Habitat for Humanity affiliate. Her personal interests include geocaching, orienteering, hiking, other outdoor activities, and riding the train while traveling. Sarah Case currently works as a nuclear security professional in the U.S. Department of State’s Office of Nuclear Energy, Safety, and Security (NESS). Her portfolio primarily focuses on improving the security of nuclear materials around the world, as well as reducing the use and storage of these materials. She also works on a range of bilateral agreements related to nuclear energy and security. Prior to joining NESS, Dr. Case served as the Nonproliferation Officer in the Office of Chinese and Mongolian Affairs, also at the U.S. Department of State, and as senior program officer with the Nuclear and Radiation Studies Board (NRSB) of the National Academies, where she led policy studies in nuclear security, nonproliferation and the nuclear fuel cycle, and nuclear energy. She received her PhD in physics from the University of Chicago, and her AB in physics from Columbia University. Catrina Hamilton-Drager is an associate professor of physics and astronomy at Dickinson College and has been teaching there since 2006. She received her B.A. in Astrophysics from Mount Holyoke College, her M.S. in Astrophysics from Arizona State University, and her PhD in Physics from Wesleyan University. Her research focuses mainly on young stars in the process of forming. She has examined the rotation rates of stars in clusters of different ages to trace the evolution of angular momentum. Professor Hamilton-Drager is probably best known for her pioneering work on the young stellar system known as KH 15D. The KH 15D system is a binary system surrounded by a circumbinary ring. Its light output has been evolving since ~1960 as a result of the gradual precession of the ring in front of the orbit of the binary. The ring acts as a natural coronagraph and provides us with information about the close environment of one of the stars. Her spectral observations show enhanced accretion following periastron passage (generally larger flux values during egress than ingress) as predicted by the models of gas flow from a circumbinary disk through a gap to the binary. She generally teaches Physics for the Life Sciences, Modern Physics, and all levels of astronomy. Melissa Harrison is a Senior Process Engineer at Intel Corporation. She received her bachelor’s degree in Physics from Xavier University of Louisiana in 2005. After which, she completed a master’s degree from Fisk University in 2007 and later earned her Ph.D. in Materials Science from Vanderbilt University in 2012. Her dissertation focused on variances in the optical properties of semiconductor nanocrystals with induced chemical composition gradients. In her current role, she works to optimize the high volume manufacturing process in the lithography group at Intel. Advances in lithography for the high volume manufacturing process are critical in producing next generation computer chips that meet consumer needs. Elizabeth Ingram received her B.S. in mathematics and secondary education from Grove City College with a focus in physics. She attended Indiana University of Pennsylvania for graduate school where she received her M.A. in physics. She taught high schoolmathematics for two years at Jackson High School in Massillon, Ohio. 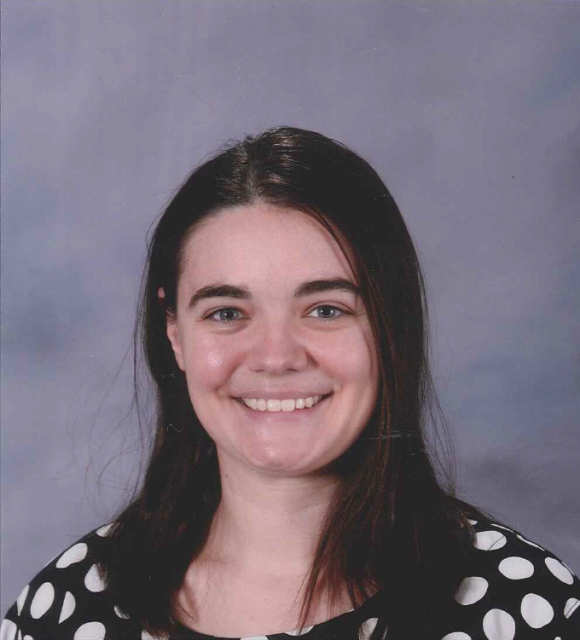 Elizabeth currently teaches middle school mathematics and science at Nittany Christian School. Ritchie Patterson obtained her B.A. from Cornell University (1981), where she is now a Professor of Physics. After her undergraduate degree, she received her Ph.D. from the University of Chicago (1990). Her current research seeks new phenomena and particles beyond the standard model of elementary particle physics. Since even though the Standard Model is able to explain an enormous number of experimental results, including the Higgs boson candidate that was recently discovered at the LHC, it falls short of explaining other phenomena such as dark matter, the disappearance of anti-matter from the universe, and the small size of the radiative corrections to the Higgs mass. To this end, she uses data from the Large Hadron Collider (LHC) and is searching for supersymmetry (SUSY) signatures that do not assume so called “R-parity”. She is also Director of the Cornell Laboratory for Accelerator-based Sciences and Education (CLASSE), and was the Department Chair at Cornell from 2009-2011. Shanna Pervola is a medical physicist at Ohio Medical Physics Consulting (OMPC). She received her bachelor’s degree in Physics from Penn State University (2005), after which she completed a master’s degree in Radiological Medical Physics at the University of Kentucky (2007). She is a Certified Radiation Expert (CRE) in the state of Ohio and was certified as a Therapeutic Medical Physicist by the American Board of Radiology in June 2012. Since working at OMPC, she has gained significant clinical experience and has been instrumental in the startup of radiation therapy centers. She actively participates in evaluations of linear accelerators (external radiotherapy) and patient treatments with brachytherapy (internal radiotherapy), which is a form of radiotherapy where a radiation source is placed inside or very near the area requiring treatment.